Thanks again for tuning into the show last night. I hope you enjoyed my favourite tunes of 2017. You can stream and download my previous shows via my Mixcloud and the NSB Radio archives. Big ups everyone! This is my last show of 2017, so have a fun festive period and I’ll see you in the new year! Happy Christmas Eve Eve, everyone! Tonight on NSB Radio I’ll be celebrating the festive season with a Christmas Special chock full of funk, a sprinkling of seasonal soul and a healthy dollop of full fat festive fromage. This show will be the perfect soundtrack for your yuletide activities, whether you’re running the gauntlet of last minute shopping, tucking into a fat, juicy turkey, or drunkenly dancing around the Christmas tree with your Nan, this show should keep you in the festive spirit no matter what you’re up to*. 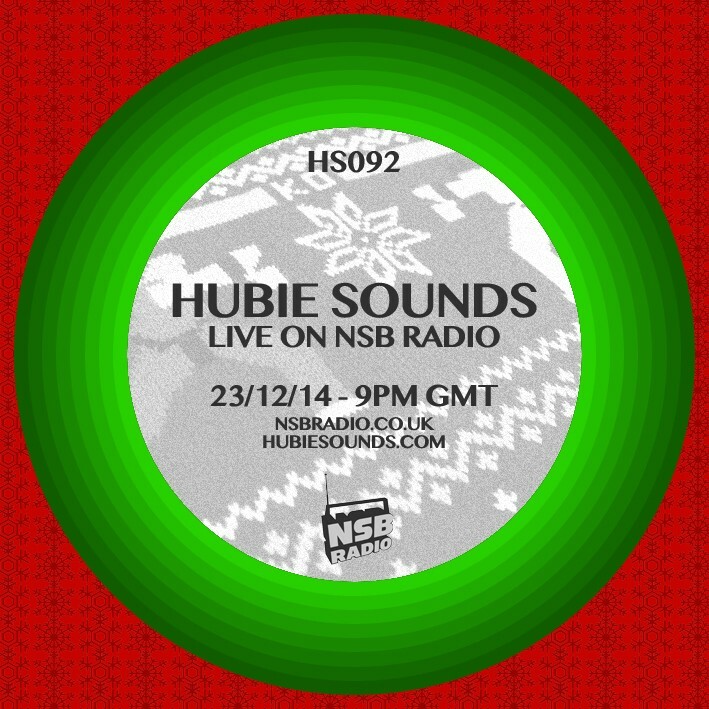 The Hubie Sounds Christmas Special – Tuesday 23rd December @ 9pm GMT – live and direct on NSB Radio! Make sure you come and say ‘ho ho ho!’ in the NSB Radio Chatroom! * For those Bah-Humbuggers out there, you might want to cover your ears for two hours, or seek refuge in the pub and drink yourselves into festive oblivion (responsibly, of course).